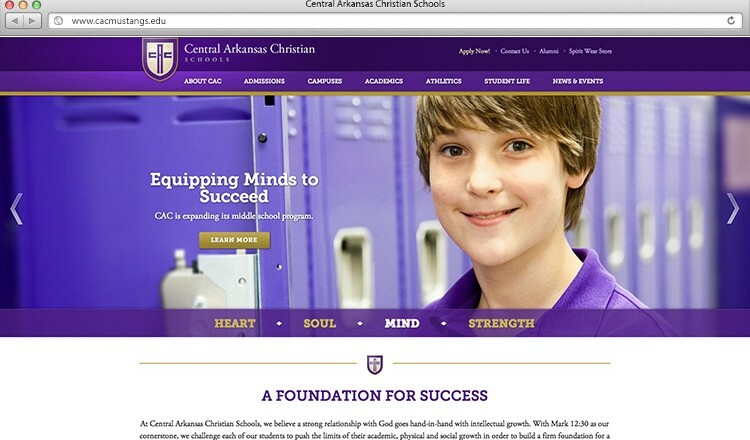 I was able to work with Z-Axis Creative on one of their largest projects to date – the complete overhaul of the websites for Central Arkansas Christian Schools. The schools are spread out on 3 different campuses, with dozens of teachers, employees and administrators that all need to be combined onto one site. 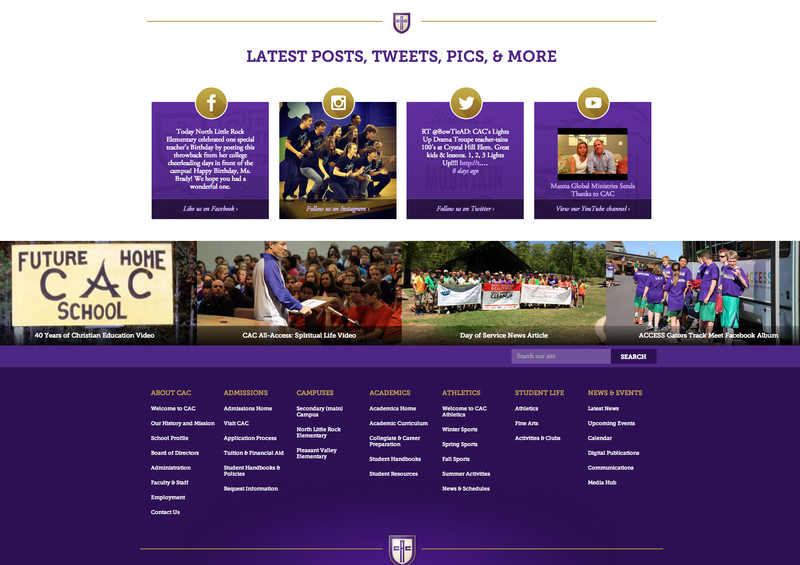 CAC is stepping up their game in the academic realm, in their athletic department, and in the public’s eye – they brought in Z-Axis to build a new site that would serve them well. Z-Axis is stepping up its game in terms of size of projects, custom functionality on their websites, and overall visual aesthetics – they brought me on board to help build a beautiful new site. The site builds on the school’s new branding and creates a beautiful mix between a very academic, professional air and a modern, clean, athletic design. I worked with Zach to create the overall look and feel of the site, as well as design out every tiny element that a site of this size would need. The result is a beautiful new site that’s been thought through on everything from small phones to large desktop screens.